Just about any clear night provides an invitation to go outside and see what’s up. Some nights, however, might offer a special attraction: a meteor shower; a conjunction between the Moon and a bright star or planet; or even a lunar eclipse. If you are a beginner stargazer you can maximize your sky watching efforts by taking a few simple steps. Start with a star chart, and/or a Planisphere or a star-charting app that runs on a smart phone, tablet, or PC. These are valuable tools in learning the night sky, displaying any number of sky objects for any hour of the night. 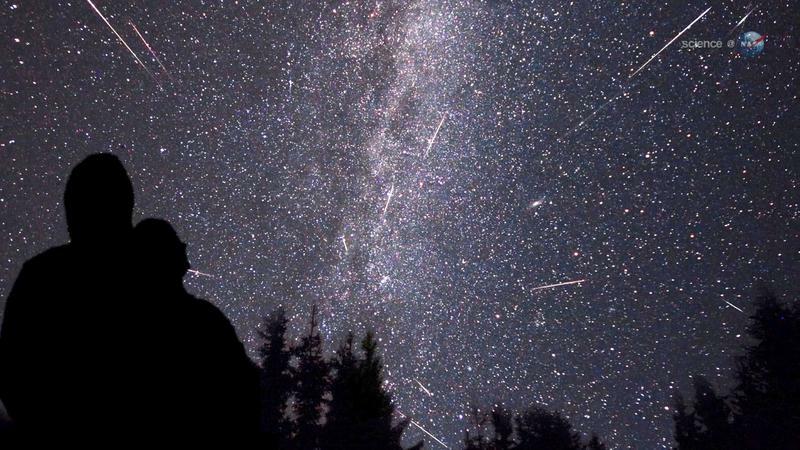 The Perseid meteor shower sprinkles the night sky with shooting stars in August. The meteors are bits of icy and rocky debris left behind by the Comet Swift-Tuttle, which was discovered in 1862. As Earth flies through the comet’s path, some bits of comet dust slam into the atmosphere at tens of thousands of miles per hour. They quickly vaporize, creating bright but brief streaks of light in the night sky.